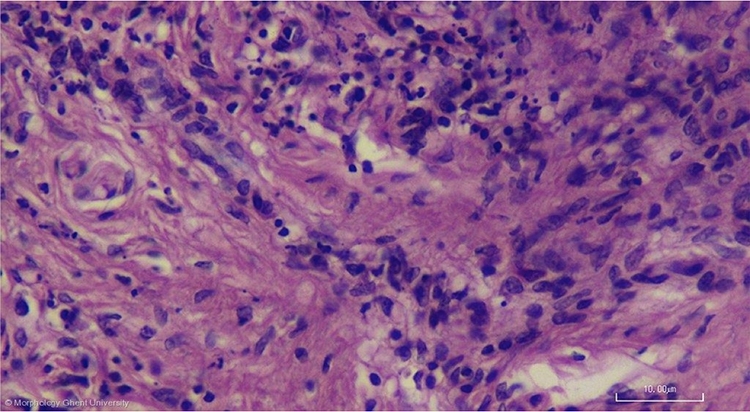 In the tunica media of the common carotid artery where the carotid sinus is located, the arrangement of smooth muscle cells and elastic laminae is interrupted by a mesh of connective tissue that contains granular and agranular cells. These cells probably modulate baroreceptor activity. Bare and encapsuled nerve endings are descripted to be present in this zone but cannot be made visible on standard HE dying.